Cloud security is on everyone’s minds these days. 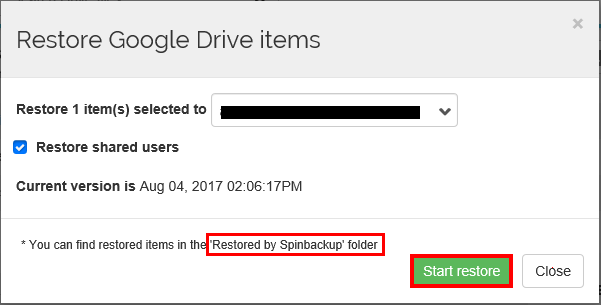 As we covered in the first part of our two-part post, Spinbackup is a phenomenal product that protects organizations running Google G Suite in their environment. Just to review, it is a cloud to cloud backup and cyber security product that protects against data leak and loss protection all in one product and one “pane of glass”. In that first post, we looked at the installation of Spinbackup within a G Suite environment which was very intuitive and can be completed in minutes. In the second part of the series, we will take a look at Spinbackup G Suite Backup and Security Configuration. 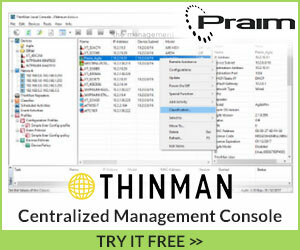 We will go through a high level walk through of the dashboard as well as run through a test backup and restore. 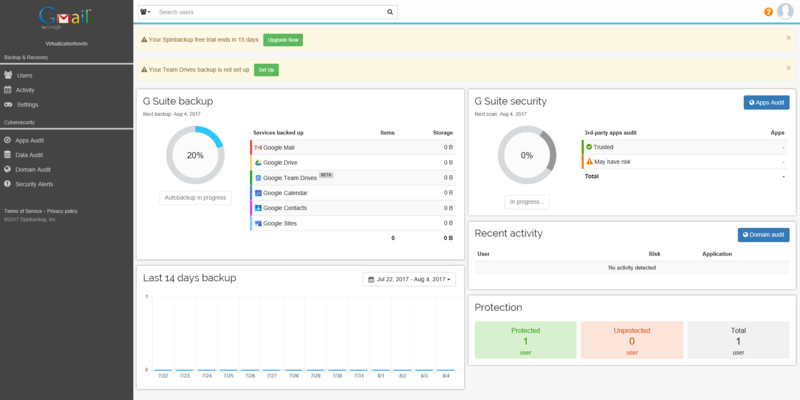 As mentioned, the dashboard of the Spinbackup interface is extremely well designed and arranged in such a way that all the important information you need to stay on top of your G Suite backups and security is easily viewable. 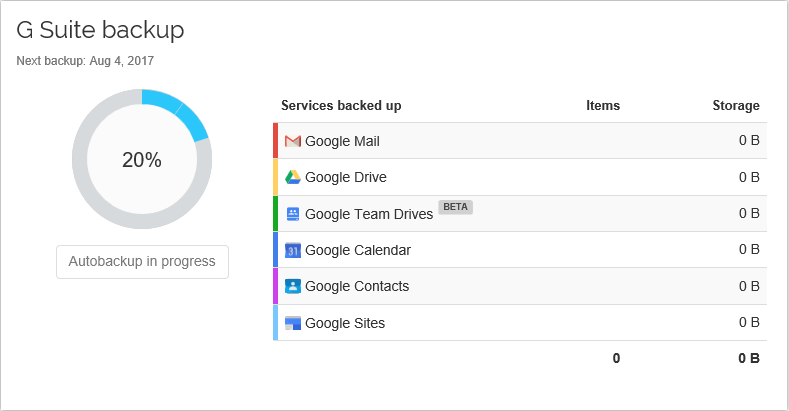 In the G Suite backup pane, you will see the current storage used and number of items contained therein. Additionally, you will see the autobackup process (that is configurable) kicking off. As you can see below, I have a new G Suite account so there is no data contained as of yet. The G Suite Security pane shows any potential security threats coming from 3rd-party apps that have been installed in the G Suite organization. We can manually queue backups in the account as you can see below. Additionally, we can configure the Auto-backup settings turning these on or off. 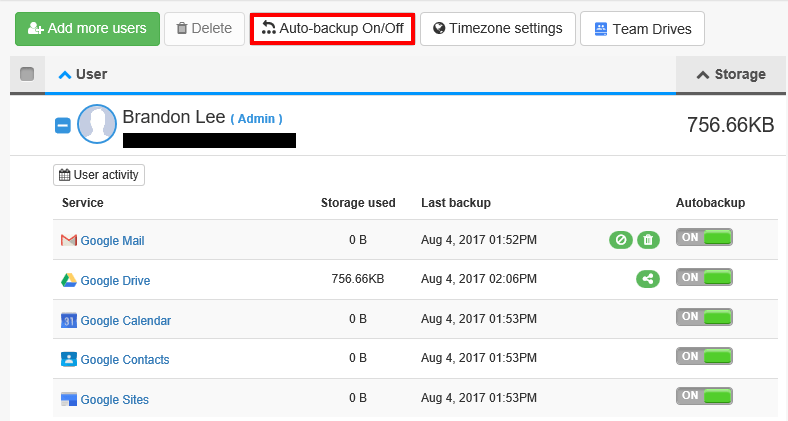 After uploading a few test files to the G Suite account and performing a few backups, let’s look at restoring our backups. This process is extremely easy. 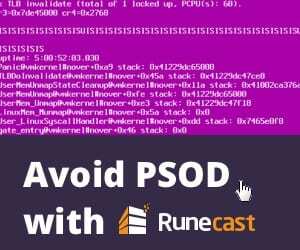 We navigate to the protected user the service we want to restore items to. Below, we have navigated to the Google Drive for the user. Notice we have the Restore button available. We simply select the file we want and click the Restore button. Also, we can select the Version button to display a listing of versions available to restore. 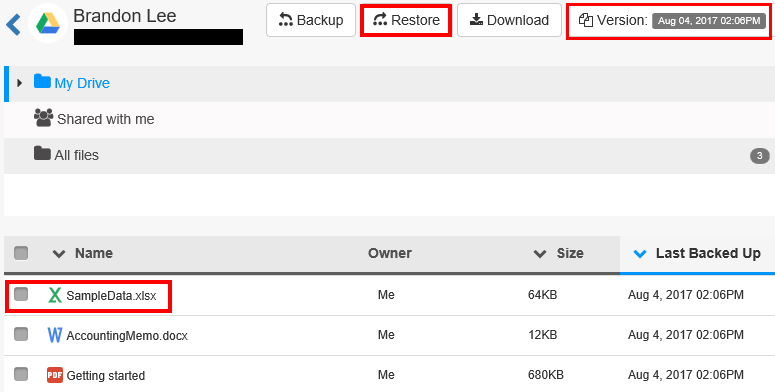 Under the versions button, we also have the Lost & Found option which displays any items that have been deleted between backups. I deleted the Getting Started PDF and after the next backup iteration, it is now found in the Lost & Found items ready to be restored if need be. 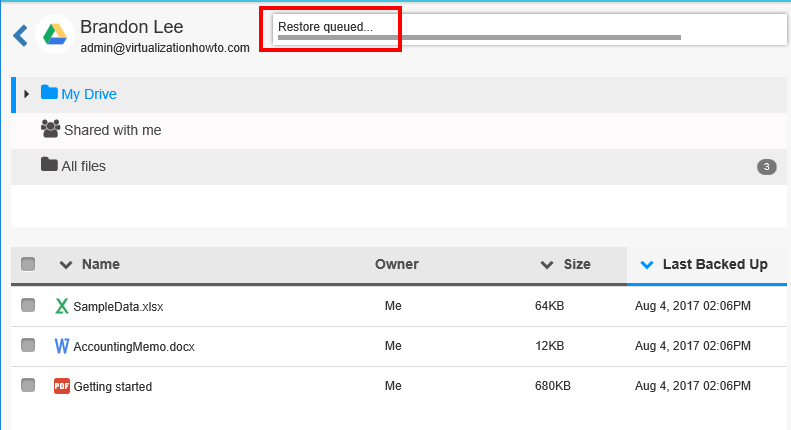 As noted in the restore dialog, the restored files are restored to the “Restored by Spinbackup” folder. 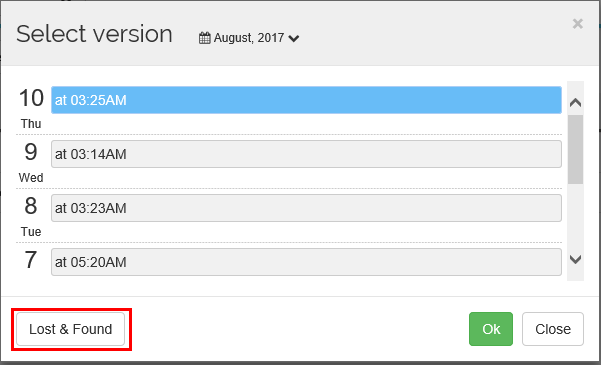 Click the Start restore button once the file and version has been selected. After the restore is completed of the selected file, as we see, we have the “Restored by Spinbackup” folder created and it contains the restored version of the file we chose to restore. There are powerful Cybersecurity features built into Spinbackup including apps, data, and domain audits as well as security alerting. 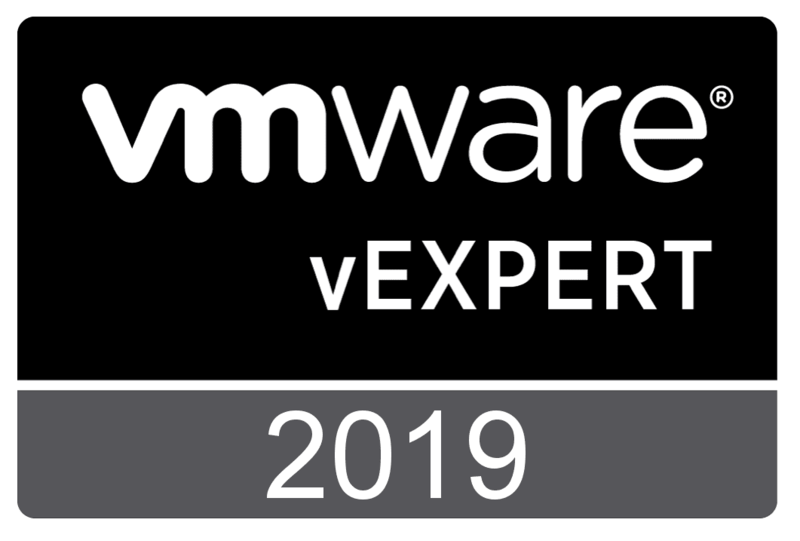 Below, in the Apps Audit area of the console, we see the 3rd-party Apps Audit listed which gives us a quick high level view of any 3rd-party apps and the potential security risk they pose. Under the Data Audit we can see any items that might be shared with 3rd-party users as well as credit card number detection and ransomware protection. 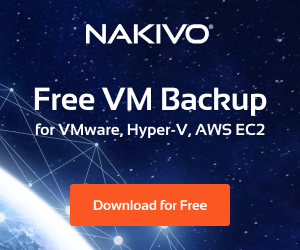 With the Ransomware Protection functionality, Spinbackup can proactively detect file encryption and even auto recover those items once auto-recovery is flagged on. Additionally, the CCN detection can detect any messages with credit card number information which is definitely sensitive information. The Domain Audit area allows us to see an audit log of user activity as well as a risk assessment for those users accessing the system, their IP, country, city, etc. This allows for the needed visibility and assessment of users that are accessing the system and what they are doing. 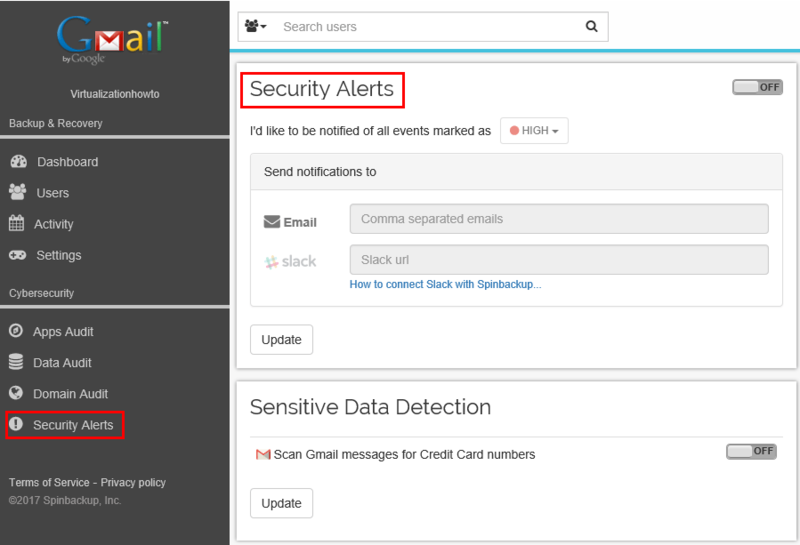 We can setup Security Alerts including Sensitive Data Detection to proactively alert based on certain notification levels and sensitive data detection. Being proactive is always best and the ability to proactively alert based on these metrics is powerful. In the age of public cloud, organizations certainly need to think about how they are mitigating risk both in terms of data loss, prevention, and cybersecurity. Spinbackup provides a powerful solution for organizations utilizing G Suite. I found that it was extremely easy to setup and integrated very well into the G Suite console. The features and functionality provided by Spinbackup for G Suite makes it in my opinion, a must have product to protect G Suite public cloud data. 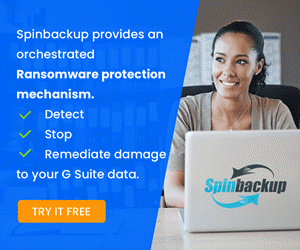 The visibility and peace of mind that Spinbackup gives to organizations using G Suite is well worth the reasonable $5 user/month for both data loss and leak protection, or the $3 user/month for data loss protection. Be sure to sign up and check out the 15 day free trial of Spinbackup here.